Manila, Philippines - Department of Justice (DOJ) Secretary Leila de Lima on Saturday, April 26, 2014 announced that fugitive businessman Cedric Lee and Simeon Raz known as Zimmer Raz, 2 of the 7 accused in the mauling of comedian Vhong Navarro, were arrested in Oras, Eastern Samar. De Lima said the National Bureau of Investigation (NBI), with support from the local Philippine National Police (PNP) and the Intelligence Service of the Armed Forces of the Philippines (ISAFP), arrested the two at 11:15 a.m. today. "For the past few days, talaga namang tina track down na ng NBI yung kanilang mga location. More or less as of yesterday, we knew the general area kasi parang naging mobile sila. They hopped from area to another - from Quezon to Bicol, to Sorsogon and then finally sa Eastern Samar," De Lima said. De Lima instructed the arresting team to immediately bring Cedric and Zimmer Raz to Manila. "Dadalin sila sa Manila, sa NBI. In the meantime, doon muna sila sa NBI detention facility and we will await the commitment order from the RTC [Regional Trial Court] Taguig. Ang RTC Taguig ang magdedesisyon kung saan talaga sila dapat ilagay pending the arraignment, pending the trial of the case," she said. Update: Cedric Lee and Zimmer were brought to Manila in handcuff today at 7:30AM via Tacloban PAL flight. Alma Mallonga, lawyer of Vhong Navarro, congratulates NBI for the arrest of the 2 fugitive and says trial can now start. The warrant of arrest was issued by the Taguig City Regional Trial Court (RTC) branch 74 on Monday for serious illegal detention, a non-bailable offense, against them. Jed Fernandez, Ferdinand Guerrero and Deniece Cornejo were also ordered for arrest. Meanwhile, warrant of arrest were also issued to Bernice Lee and Jose Paolo Calma for the grave coercion case. Bernice which was arrested by the NBI on April 21 posted P12,000 bail for the offense. Cornejo and Fernandez did the same for their temporary freedom. 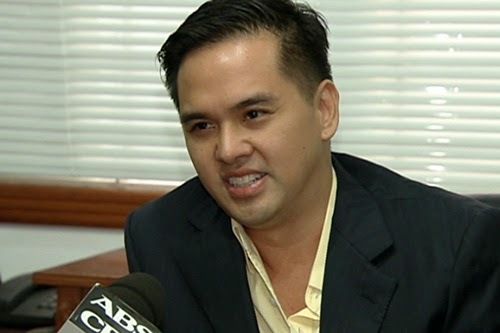 On Friday, veteran broadcaster Tony Calvento revealed on his Facebook page that Cedric Lee, Deniece Cornejo and other suspects are still in the Philippines and now sleep in their vehicles because they can't even check in at the hotels and resorts for fear of being recognized. Calma left the country last April 10 though lookout bulletin order was issued against him. Calvento hinted that Calma is turning to be a state witness. Guerrero attempted to leave for Hong Kong last April 14, but was prevented by the Bureau of Immigration(BI).